Two G protein-coupled receptors, CB1 and CB2, have thus far been identified and are responsible for most of the effects produced by cannabinoids. 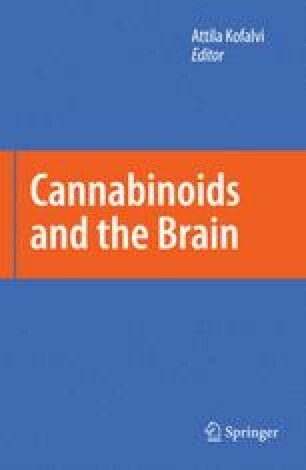 Cannabinoids, such as Δ9-THC, produce psychoactive effects through activation of neuronal CB1 receptors, while CB2 receptors mediate the immune properties of this class of drugs. The molecular, signaling, and trafficking properties of CB2 receptors will be the focus of this review. The cloning of CB2 receptors will be described, along with evidence that individual cannabinoid ligands, differing subtly in structure, might bind to CB2 receptors in distinct fashions. In addition, potential mechanisms underlying the dramatic upregulation of CB2 receptors in response to inflammatory stimuli will be discussed. Next, the currently known signal transduction pathways associated with CB2 receptor activation will be detailed, from G protein coupling to regulation of intracellular effectors. Evidence for the ability of different CB2 receptor agonists to distinctly regulate multiple effectors, known as agonist-directed trafficking of response (ADTR), will also be presented. Furthermore, a potential relationship between CB2 receptor ADTR and immune cell function will be discussed. Lastly, two distinct aspects of CB2 receptor signaling will be described that may help to explain the well-documented interactions of cannabinoids with other receptor systems. It is hoped that this brief review will provide a basic understanding of CB2 receptor signaling necessary to appreciate the exciting future approaching for the development of potentially therapeutic selective CB2 receptor ligands.